Are you interested in current events and teen issues? Are you an open-minded, creative, and passionate individual? 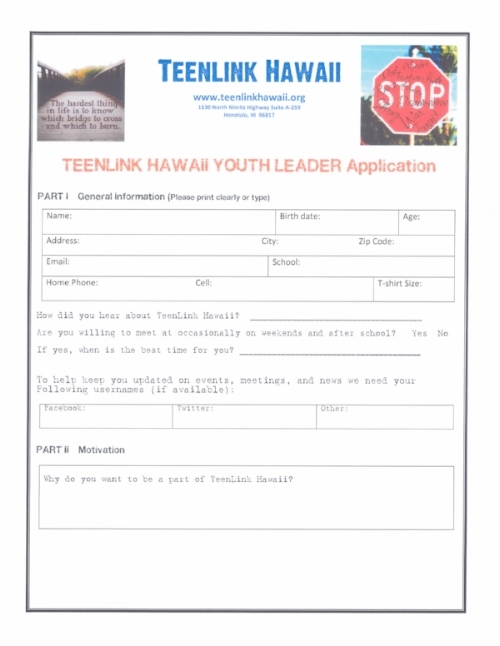 If so, you may be a perfect fit for TLH’s Youth Leadership Group! The group consists of youth leaders who create fun and innovative ways to educate other teens as well as the community on the teen issues that matter the most. Issues tackled by youth leaders include (but are not limited to) LGBTQ equality, teen pregnancy prevention, sexual health, dating violence, substance abuse prevention and wellness. Youth leaders meet quarterly to do things like discuss ideas, develop community action campaigns, and participate in activities. Other youth leadership responsibilities include developing the TLH Zine Publication Through Our Eyes, updating the TLH website, Facebook and Twitter pages, filming public service announcements, and creating printed materials. Leaders will build critical components of ideal leadership which includes interpersonal skills, self development, organization, and ability to work as a team. So if you’re a teen age 14-19 who feels strongly about making a difference, download the applications here and send them in to us. We look forward to hearing from you! Click on the picture to download our application! Fill it out and mail, email or fax it back to us!